Saying that "race plays a decisive role in who lives and who dies" in capital cases in the United States, the National Black Caucus of State Legislators (NBCSL) voted at its 40th annual conference on December 14, 2016, to adopt its first ever resolution calling for the abolition of the death penalty. The resolution states that "racial bias in the criminal justice system, including the death penalty and its application, is an undisputed fact," and notes that "from slavery to Jim Crow to the present day, the death penalty has long been a tool of injustice and discrimination." The resolution says "African-Americans, Latinos, Native Americans, and all people of color are sentenced to longer prison terms, more likely to be tried as adults, and more likely to be sentenced to death in the United States." 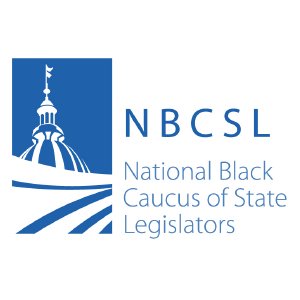 The NBCSL joined the National Hispanic Caucus of State Legislators and the Movement for Black Lives, which passed anti-death penalty resolutions in August 2016, in advocating for legislation to repeal capital punishment statutes across the country. In supporting death penalty repeal legislation, the NBCSL resolution cited studies and reports showing that: Black jurors are three times more likely than other jurors to be struck from a jury in a case in which a Black defendant faces a death sentence; according to 88% of criminologists, the death penalty is not an effective deterrent against crime; the death penalty has a negative impact on the families of both the murder victim and the defendant; and 156 wrongfully convicted death row prisoners have been exonerated and released from death row. "[T]he risk of executing an innocent person is higher than ever," the resolution states, "and evidence suggests that innocent African-Americans have been executed." The NBCSL also considered the excessive cost of the death penalty and the uses to which the money saved could be used as additional reasons to abolish the death penalty. The resolution says "repeal of the death penalty will free up millions of tax dollars in cash-strapped state budgets that could be redirected to violence prevention, combating implicit bias, or supporting victims of violence in Black communities." The NBCSL offered its support for "justice reinvestment initiatives and alternative programs that address criminal justice reform" and urged the "U.S. justice department to investigate the fairness, effectiveness, and costs of the death penalty and disproportionate sentencing." Nebraska State Senator Tanya Cook sponsored the resolution, saying that the death penalty "is not a deterrent to violent crime. Period." In 2002, the NBCSL had passed a resolution calling for a moratorium on capital punishment. (See S. Craft, Black Lawmakers Call for Repeal of the Death Penalty, EJUSA, December 23, 2016.) Read the resolution. See New Voices and Race.